The Raelian Movement is often labeled a “UFO cult” primarily because of the centrality of extraterrestrials in their religion, a factor that should more accurately have them described as a UFO religion. 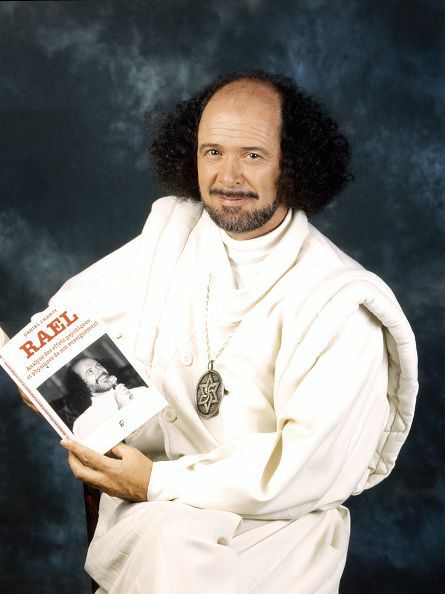 Rael is the central leader of the Raelian movement, and he is highly charismatic. He is viewed as both prophet and messiah. Currently, he is the only person in contact with the Elohim, our alien progenitors whom Raelians wish to welcome and emulate. In the early years, Rael explicitly taught the Raelians not treat him as particularly special. He urged them to look at where he was guiding them rather than at the guide himself. In recent years, some Raelians have become critical of his expectations of bows and titles, which he feels are necessary for him to be taken seriously as a religious leader. In this, he models such behavior on that afforded the Dalai Lama or the pope. While Rael does occupy a central location in Quebec, most Raelians do not live in Quebec, much less in his close proximity. He has no control over their lives, much less wielding a power to order someone's death. In addition, the Raelians are pacifists. If Rael were to command violence against someone, it would be viewed as a complete betrayal of their most fundamental beliefs. However, the questioning or criticism of Rael personally is not tolerated. While Rael does disagree with various laws in various countries (such as laws that allow men to go shirtless in public but not women, which he considers sexist), he does not encourage members to break such laws. Instead, he urges protest to get such laws changed. There are no lifestyle requirements for Raelians. There are certain ideals taught, but only as Guides. The closest equivalent to priests they have are expected to follow such ideals as examples to others. Members live ordinary lives in their own homes, freely interacting with friends and family. There is an annual membership fee, and members can donate more if they choose, but there is absolutely no obligation. While there are people and groups whom Rael considers negative influences, there are no teachings that there is a force of evil preparing to crush the faithful, nor is there any urging to combat such people violently. There is no punishment for disagreement with the teachings of Raelians. At best, the teachings are suggestions and tools for guidance. For example, Rael condemns smoking of all kinds and the drinking of alcohol because of the negative effects it has on the body. However, many Raelians continue to do such without fear of reprisals. The Raelians have about 40,000 members. Small groups can be more easily manipulated, in part because they are in regular contact with their leader. Large numbers spread across the globe are difficult to control. Almost all religions (including mainstream ones) bear at least a couple markers of a cult, and the Raelians fall well within that range of control of members. Referring to them as a dangerous cult is not necessarily correct. What Does the Ankh, an Ancient Egyptian Symbol, Represent?